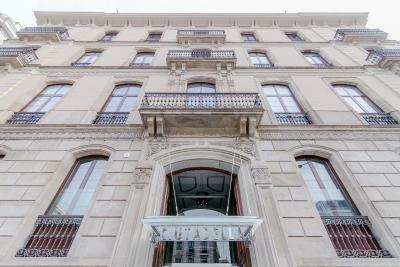 Lock in a great price for Hotel Ciutadella Barcelona – rated 8.2 by recent guests! Very good setup of light. 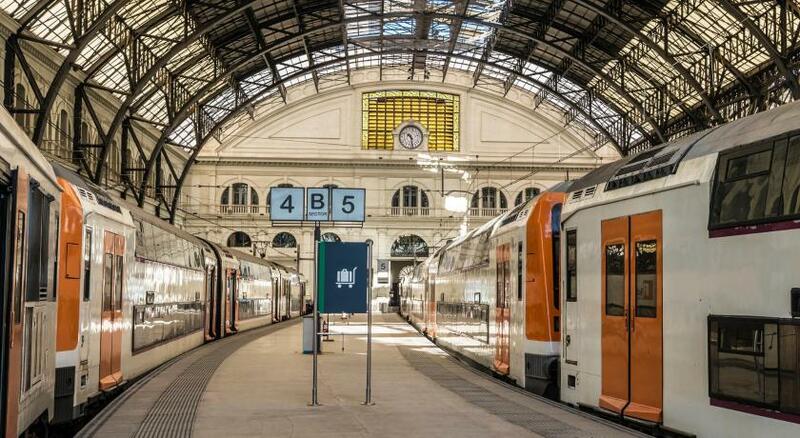 Great location for most of attractions in Barcelona and next door to the train station. 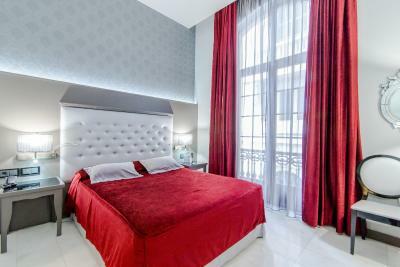 Clean and perfect location , two min walking to metro station so close to picasso museum and gothic quarter. Bus station also very close. 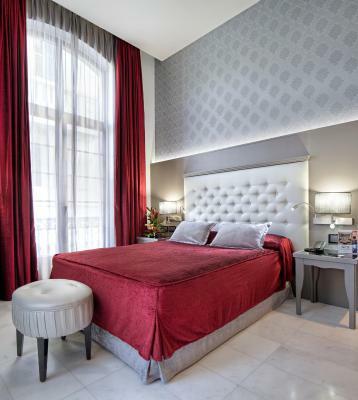 Very cute luxurious feel, excellent street and location located in between the main park and Las Ramblas, very easy walking distance to all of Barcelona's main attractions (including Sagrada Familia). Two cute although very small balconies and a very large bathroom! Good location for park, zoo, waterfront and Gothic area restaurants and bars. Near to Teide Mountain and Tenerife Sur airport. Very clean and balcony with see view. 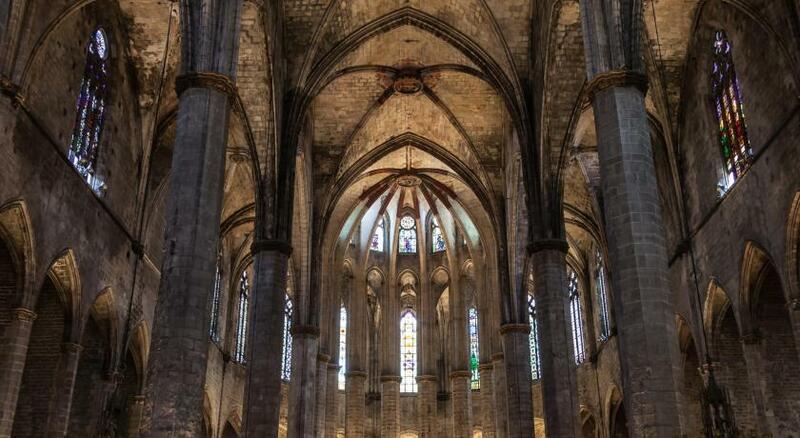 The location is close to El born and train station. I guess you could stay there for one night if you were leaving early next morning for a train, that’s the only plus I see to this no service and noisy hotel. The location was perfect! In the heart of Barcelona. Walking distance to everything! 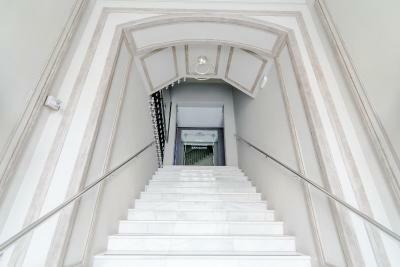 Nice location, very close to metro Barceloneta. The room was big and so was the bathroom. The balcony was a very nice surprise. 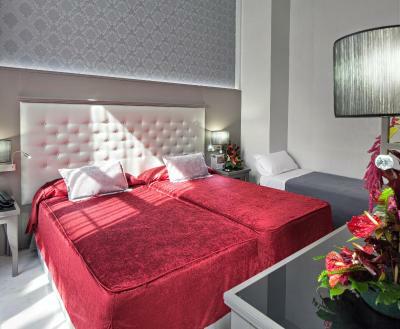 Hotel Ciutadella Barcelona This rating is a reflection of how the property compares to the industry standard when it comes to price, facilities and services available. It's based on a self-evaluation by the property. Use this rating to help choose your stay! 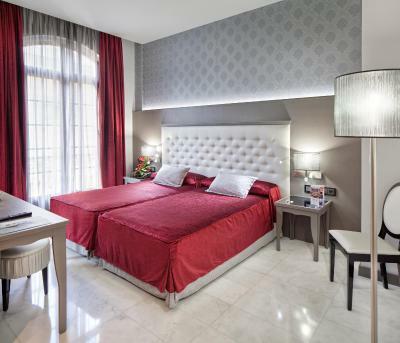 Featuring beautiful, stylish rooms Hotel Ciutadella Barcelona has an ideal central setting within 950 feet of Santa María del Mar Church, Ciutadella Park and Barceloneta Metro Station. 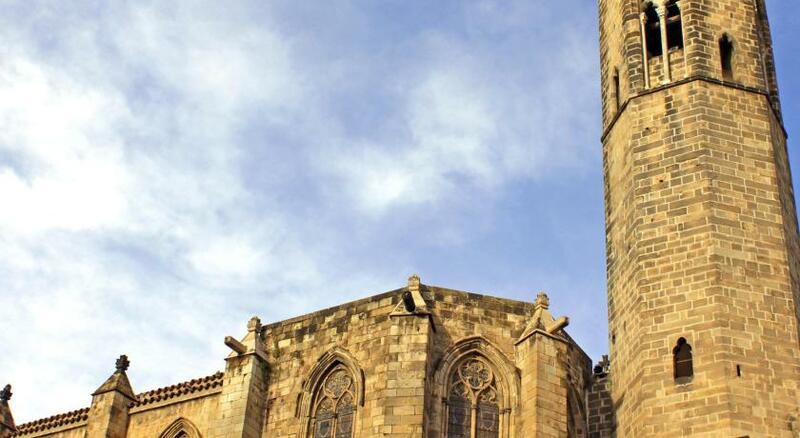 It has easy access to the historic Born and Gothic districts. 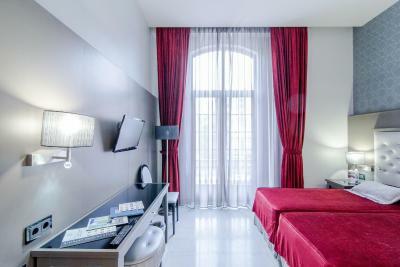 Each air-conditioned room at Hotel Ciutadella Barcelona has contemporary décor. All rooms have a TV and a private bathroom. 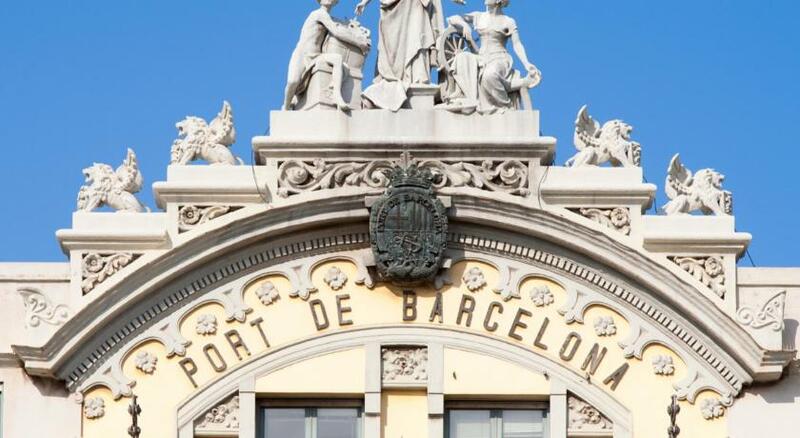 Bars and cafés can be found along Passeig del Born, 650 feet away. 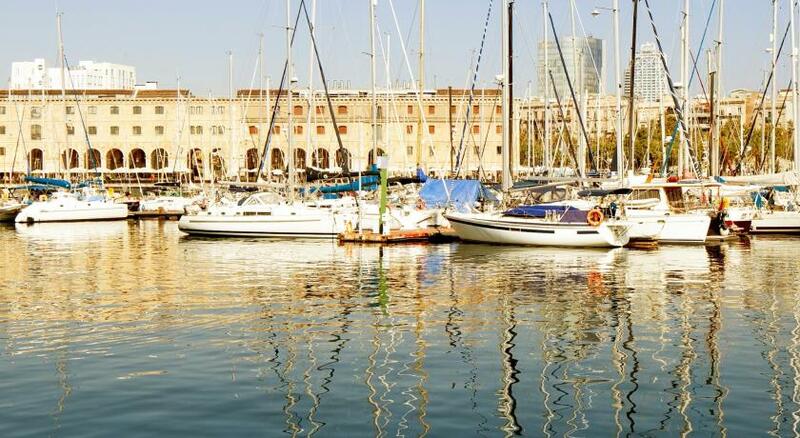 There are several seafood restaurants along the seaside Passeig de Joan de Borbó, a 5-minute walk from the Hotel Ciutadella. The nearest beaches can be reached in 15 minutes by foot. 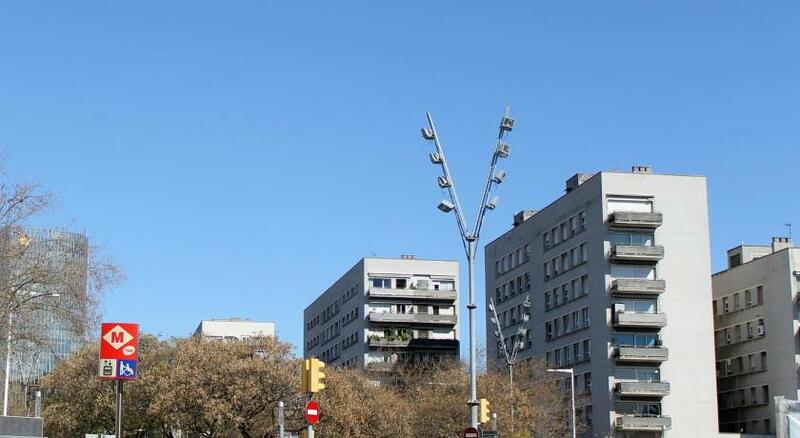 Plaza de Catalunya and Las Ramblas are within 1 miles of the hotel. 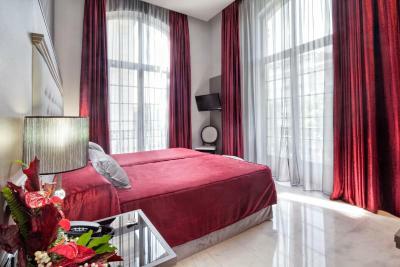 When would you like to stay at Hotel Ciutadella Barcelona? 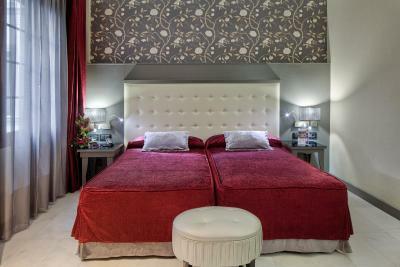 This beautiful room has contemporary décor, air conditioning, a TV and a private bathroom. 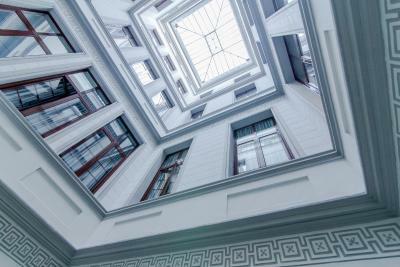 Hotel surroundings – This neighborhood is a great choice for travelers interested in food, culture and sightseeing – Check location Excellent location – show map Guests loved walking around the neighborhood! 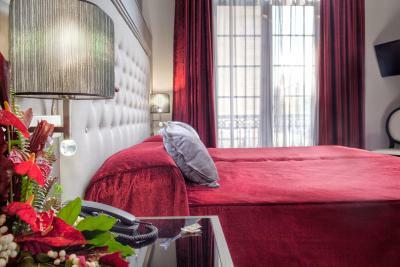 House Rules Hotel Ciutadella Barcelona takes special requests – add in the next step! Hotel Ciutadella Barcelona accepts these cards and reserves the right to temporarily hold an amount prior to arrival. 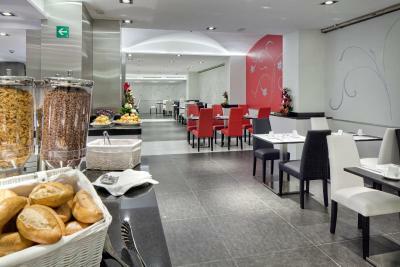 The breakfast was tasty, but didn't offer as much options that I might have wanted. Fruit salad is nice, but it would be nice to have slices of fruits - pineapple, melon, paprika, tomato and so on. 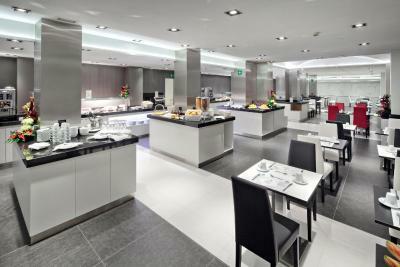 The breakfast room was also very noisy - I don't know if the sound came from the dishing machine in the kitchen or the ever-turning toaster, but the hard and polished walls made the noise worse. The bed was very comfortable. Very stylish room. We had the luck to get a corner room with two windows on the top floor. Marvellous view. Air conditioning is only switched on when the locals get hot in the summer. We were told it could not not be switched on. Neither was there any ventilation other than opening the window which let the noise in from the main road outside. There was a safe in the room, but it had no batteries in it and would not work. 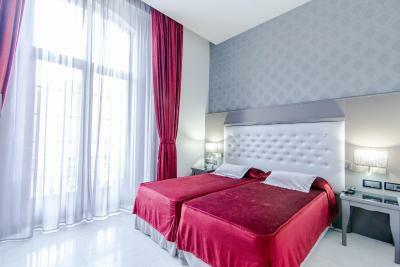 Both of the above were in the description of the room facilities. The breakfast table is laid with the notice about taking food prominently displayed. 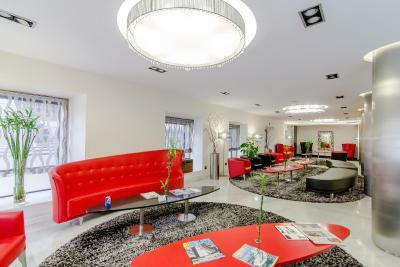 Having paid Euro 160 per night, is an apple or a banana out of the question? I arrived at the hotel with a bad back. It got worse and I asked if we could stay in the room a little later. My request was rejected "as the hotel was full". Do the staff work to change every room all at the same time? The building, rooms and staff were good. The hotel was clean and well decorated. Basically it was a normal four star room, with missing services. Check in was unfriendly and didn’t make me feel this was a quality establishment. Definitely not used to business customers - more geared to budget tourists. The hotel was clean but there were issues in the bathroom with defective plug, shower drain etc. The room itself was stylish and comfortable. Windows on two aspects and excellent views were a bonus. Three days and Two nights are not enough to explore the El Priorat valley. Very kindly personal. Our apartment was the same what we expected. Perfect terrace. Very cosy. It was absolutely enough of kitchen ware for our accommodation. Beautiful cousin in the restaurant. The location, next to the station and park. 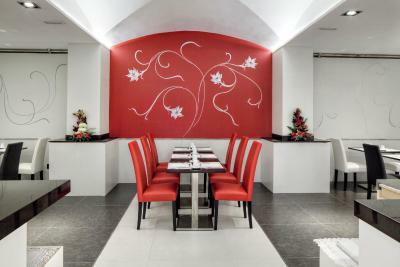 Nice hotel with good central location. Breakfast was very good. Room was nice. Price was a bit higher but I suppose that Barcelona and everywhere in Europe right now. no coffee in lobby or in the room. You need to buy from the vending machine. 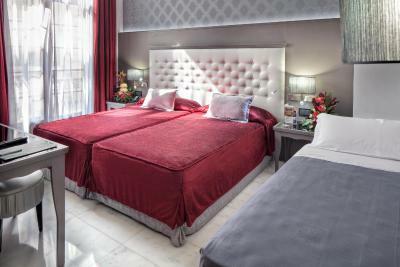 Decor was very garish, lack of facilities, toiletries not replenished when cleaning the room, red covers on the bed weren’t clean, very dark inside the room even with all lights on. 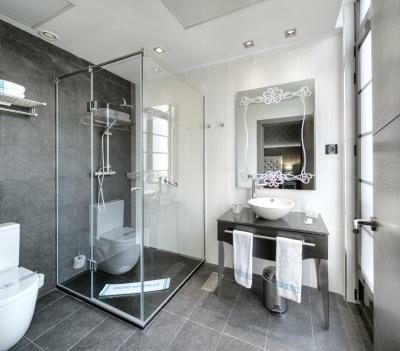 The water was leaking from the shower complained at reception but nothing happened. It gets really hot in the night and if you leave the windows open because the air con won’t work in this season you get bitten by the bugs.